Selected participants for the class of 2019 were announced on Friday, January 25, 2019. 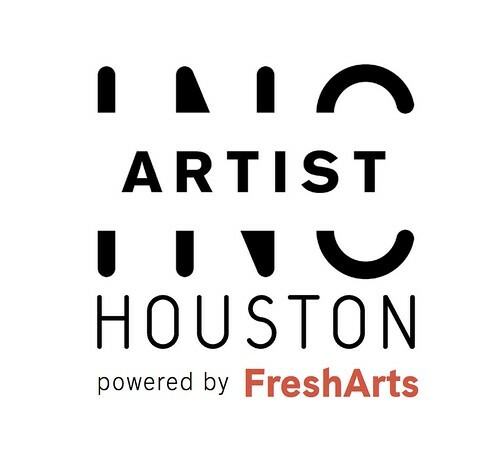 The 2019 Artist INC-Houston program will run on eight semi-consecutive Wednesday evenings from 4 - 7pm from March 13 to May 8, 2019 with a break on April 10 for an optional field trip with "small groups". The program will culminate with a public presentation night on Thursday, May 9, 2019, 6:00-9: 30 pm at the Legacy Room at City Hall. Sessions 1-8 will take place at Frost Bank Financial Center, Meeting Space (enter from 2nd Floor parking garage). Parking is free and plentiful! Sessions start PROMPTLY at 4:00pm. Many artists show up early for casual networking and socializing beforehand. Please plan to arrive early to give yourself plenty of time to find parking and make it to the room. The meeting room will be open by 3:15 pm and the staff and facilitators will be there to greet you. We will also have snacks and refreshments on hand for each session, but please feel free to bring your own if you have specific dietary restrictions. You will receive additional information regarding the May 9th Presentation Night later in the program. Artists are welcome to attend post-Artist INC hang-outs after each session for additional discussions and networking. Hangouts location(s) will be held in public venues (bar/restaurants/artist studios) near the meeting space and determined prior to each session. Hang-out participation is completely optional but strongly suggested. Selected participants for Artist INC-Houston are subject to a $150 course fee which includes all materials including a copy of Jackie Battenfield's The Artist Guide, Artist INC-Houston workbook, a 1-hour mentorship session, plus weekly snacks + refreshments. The Artist fee is payable via Credit/Debit Card, PayPal, or check. Payment deadline is Friday, February 8, 2019 by 5pm. Even with the participant fee, the program is heavily subsidized. As a result of this subsidization, participants are required to attend ALL program dates, barring illness or emergency. Artist INC Houston is administered by Fresh Arts and is supported in part by an award from Mid-America Arts Alliance, the National Endowment for the Arts, and the Texas Commission on the Arts, and foundations, corporations individuals throughout Arkansas, Kansas, Missouri, Nebraska, Oklahoma, and Texas. Special thanks to the City of Houston, The Mayor's Office of Cultural Affairs, and Frost Bank for their program support. Fresh Arts is supported in part by the City of Houston through Houston Arts Alliance.